New truck will make it possible to meet tougher city emissions rules. The new Volvo FL Electric truck begins work on the streets of Gothenburg, Sweden. Move over Tesla, Freightliner, Cummins and, well, add one more new battery-electric truck to the growing field of competitors: Volvo’s new FL Electric. 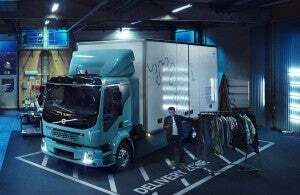 The company’s new 16-ton truck is designed to function in an urban environment, acting primarily as a delivery truck. This will become more important as the number of cities banning diesel engines from city centers continues to increase, now there will be an option to get goods into urban areas. “We’re immensely proud to present the first in a range of fully electrically-powered Volvo trucks ready for regular traffic,” said Claes Nilsson, president, Volvo Trucks. Volvo's new FL Electric truck is designed to have a lower impact than diesel trucks on its environment. Since the new truck produces no odors, like its diesel competitors, and no noise, the FL is ideal for city duty, according to Volvo. Without any exhaust emissions, it can be used in indoor terminals and environmental zones. The low noise level creates opportunities for doing more work at night, thus reducing the burden on the roads during the day. The truck operates on between two and six lithium-ion batteries with 100-300 kWh, providing up to 186 miles of range with six batteries. The truck’s charging time is said to be one to two hours with fast DC charging, or up to 10 hours on AC with the 300-kWh battery capacity. The FL’s electric motor produces 248 peak horsepower or 175 continuous hp, while maximum torque is rated at 313 pound-feet with a two-speed transmission. Offering up an electric truck that ready to go into service now – the company’s hometown of Gothenburg is the first customer – isn’t all that surprising. Volvo’s had plenty of experience with electric technology due to its bus division, which has produced more than 4,000 electrified buses since 2010. 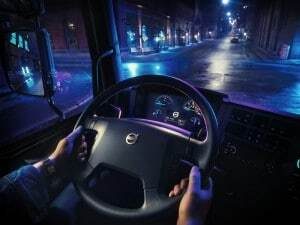 “From experience we know how important it is that cities, energy suppliers and vehicle manufacturers cooperate in order for large-scale electrification to become a reality,” said Jonas Odermalm,head of product strategy, Volvo FL and Volvo FE at Volvo Trucks. The fact that the truck is designed for city use isn’t all that surprising either as Volvo sees EVs as part of a big picture approach to improving the environment. Volvo Trucks believes that it is essential to take a holistic view of electrification of the transport sector to handle the ongoing challenges in areas such as electricity generation and batteries. This entry was posted on Friday, April 13th, 2018 at and is filed under Automakers, Automobiles, Business, EVs, Electrified Vehicles, Technology, Volvo. You can follow any responses to this entry through the RSS 2.0 feed. Both comments and pings are currently closed.